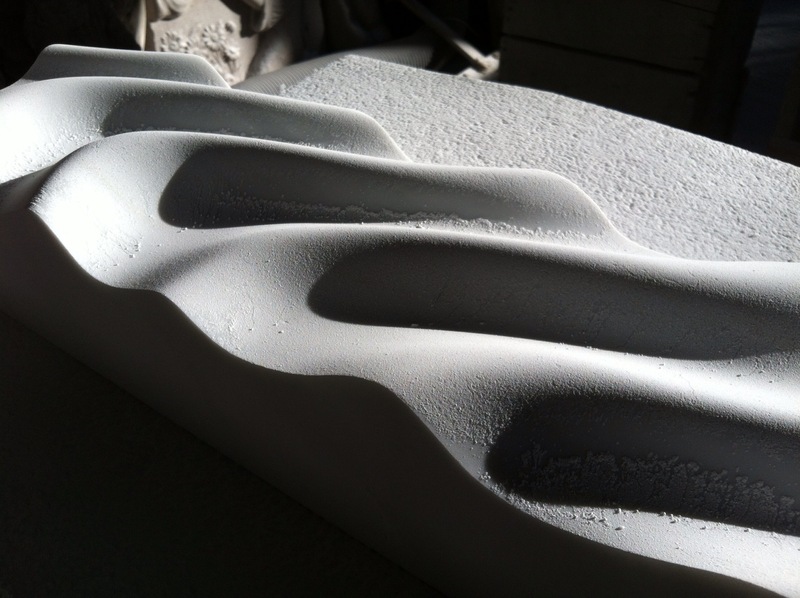 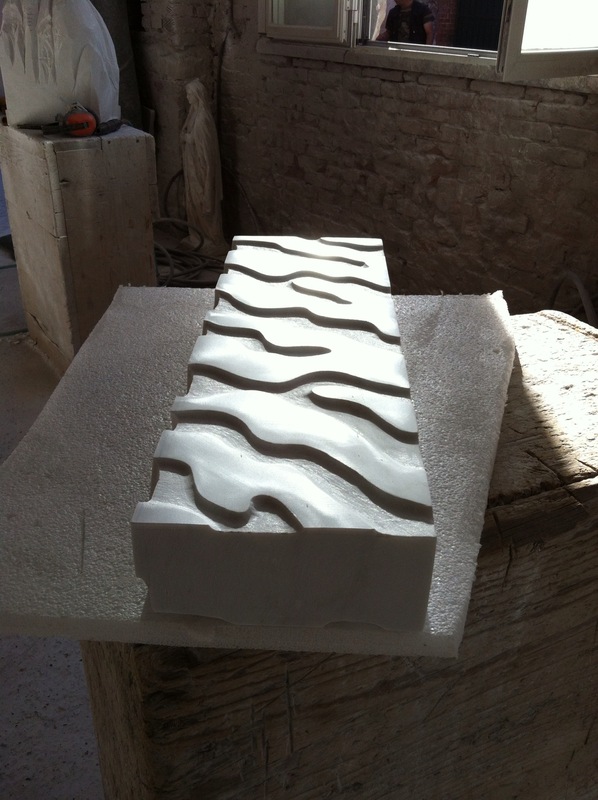 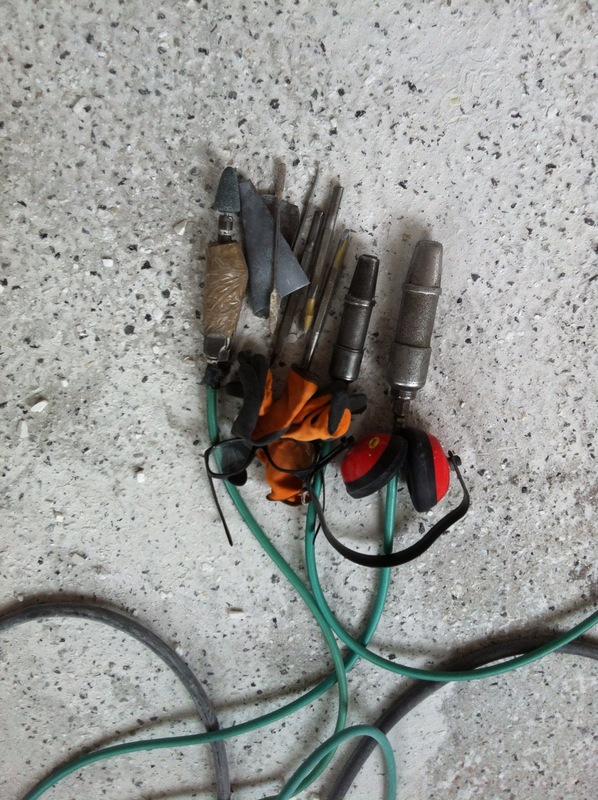 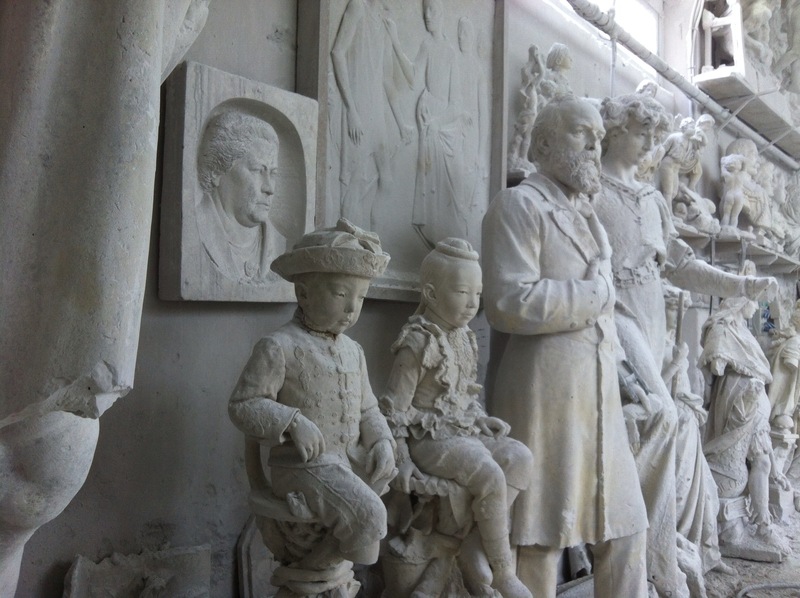 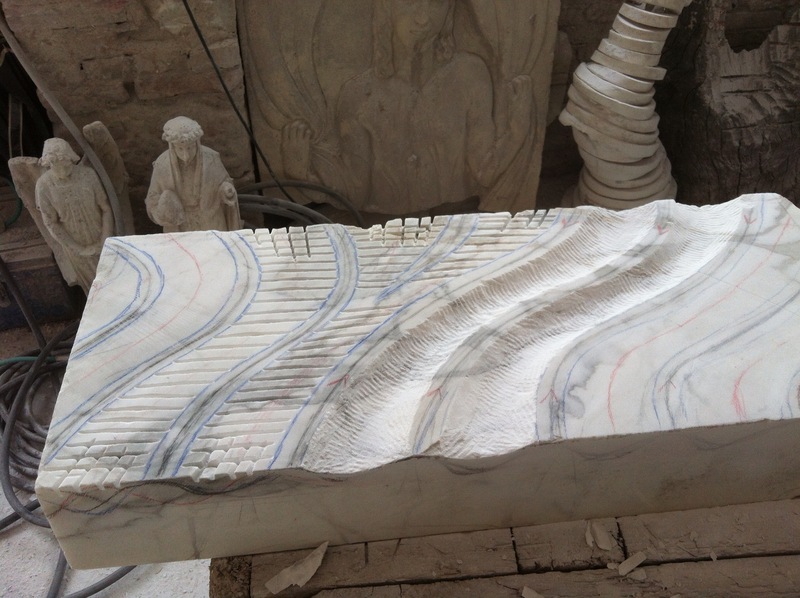 in June and July I worked in the Caroli Studio in Carrara, my first encounter with carving stone. 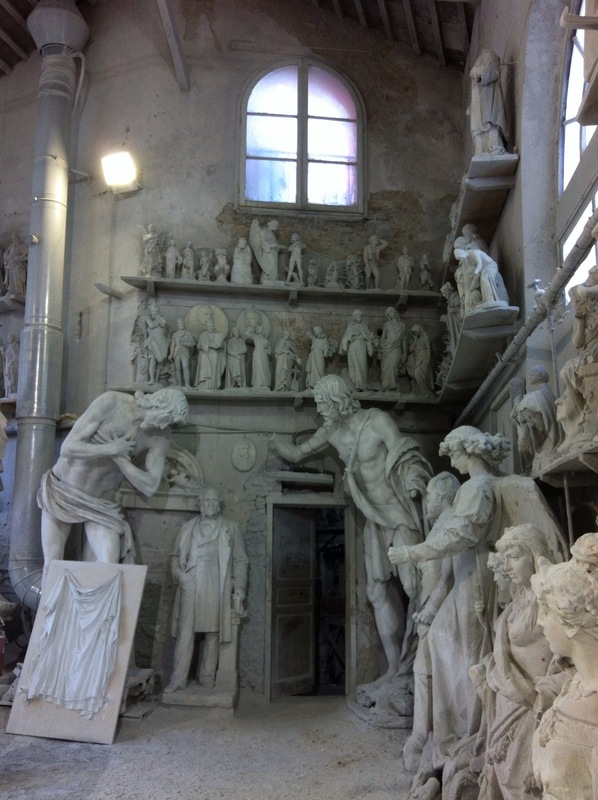 Needless to say there was a fairly hefty weight and history of figurative sculpture. 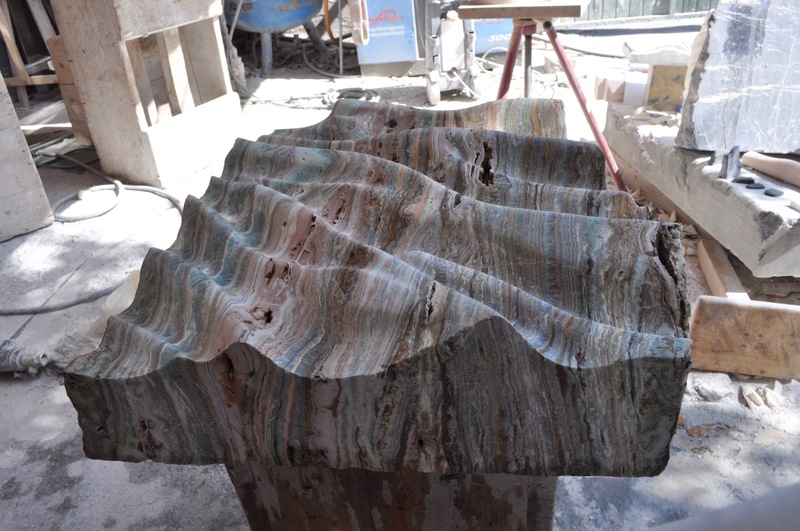 the final work was with an emerald onyx travertinate from India. 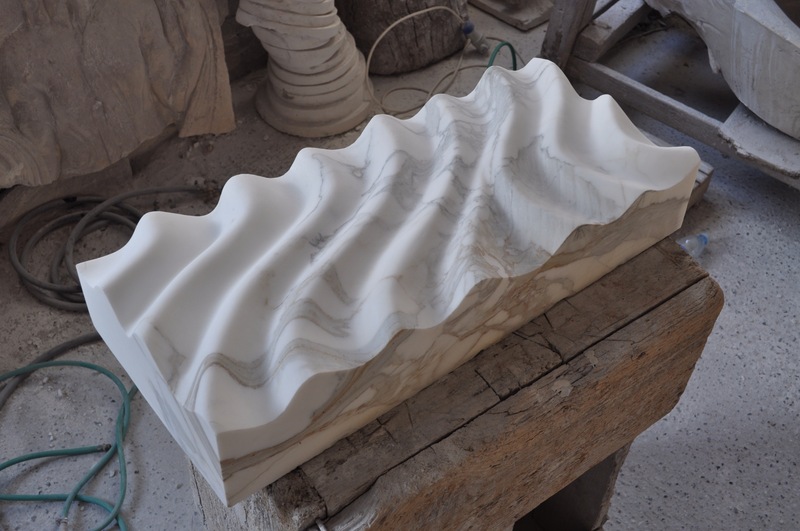 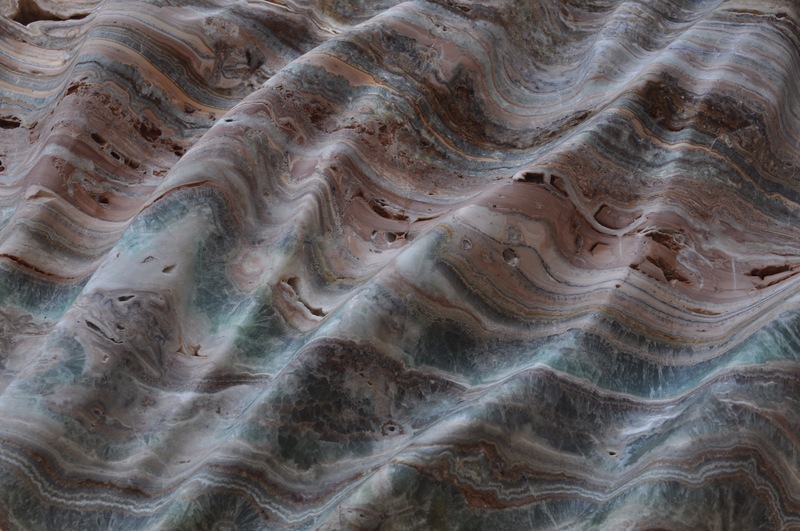 a stone with very strong character and an opportunity for me to work with the stone and try to express its geomorphology as well as some sense of its mining and handling.